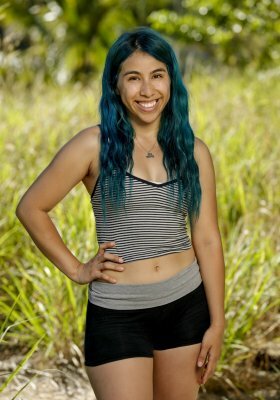 Survivor: Edge of Extinction castaway Wendy Diaz chose to raise the white mast on Extinction Island and leave the game, but she's insisting she never quit! Survivor: Edge of Extinction castaway Chris Underwood was voted out of his Manu tribe but opted to continue in the competition on Extinction Island during the third episode of Season 38 on Wednesday night on CBS. Survivor: Edge of Extinction castaway Keith Sowell was voted out of his Manu tribe during the second episode of Season 38 on Wednesday night on CBS. Survivor: Edge of Extinction castaway Reem Daly was voted out of her Manu tribe but opted to continue in the competition on Extinction Island during Wednesday night's Season 38 premiere broadcast on CBS.